Morgan Jones, like Rick Grimes, is a survivor. Jones, however, has traveled a dark and lonely path to emerge on the other side as something more than just a survivor. After losing his wife and son to the outbreak, Jones was broken and teetered on the edge of sanity. This bust was created using 3D digital scanning to capture the authentic likeness of the character and features an interchangeable alternate head. Negan, iron-fisted and foul-mouthed leader of The Saviors, is the newest vinyl bust bank in the Walking Dead line, and will look great sharing shelf space with Rick, Michonne and any number of zombies. Fill him up with half of your spare change, and nobody has to get hurt. Plus, he comes with his beloved baseball bat Lucille, so it’s like getting two characters in one! Just don’t let Lucille get thirsty! 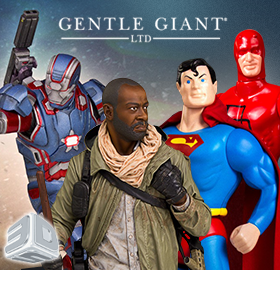 Utilizing digital sculpt and scan data files from the original motion picture, Gentle Giant Ltd. has recreated Iron Patriot in this amazing 9 inch tall 1/7 scale statue. Each Iron Patriot statue is hand cast, hand painted and hand numbered with a limited edition certificate of authenticity. 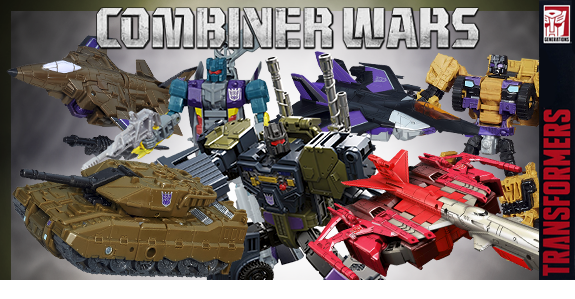 R-20N Nero Rex is a repaint of the Feral Rex combiner figure giving Leo Dux, Tigris, Bovis, Fortis, and Talon a black and purple redeco. This set contains Clark Kent, Lois Lane, Jimmy Olsen, and Perry White. Each figure includes an authentic cloth outfit and comes in resealable plastic clamshell packaging that can be opened and closed without damaging anything. Individual figures are listed for $29.99 and in a set for $107.99. Iron Studios has released 11 all new Marvel statues covering The Age of Ultron Movie, Guardians of The Galaxy, Ant-Man, and other comic book favorites. Resistance is futile! The irresistible Borg Queen has been captured as a 9-inch-scale PVC statue – the next entry in the Star trek Femme Fatales line! With a detailed sculpt and exacting paint applications, this static vinyl figure features a removable head and upper torso, to simulate her on-screen maintenance routine. Borg Queen is perfect to display alongside Seven of Nine, Counselor Troi, and all other Femme Fatales statues! Whether you feel more like a survivor or one of the infected, there’s a Vinylkins for you. No need to trek your way through the dangerous streets of Fairfield to get yours. Each figure stands 4 inches inches tall, has movable arms and rotating head and the human figures each come with a med-pack. Zoey comes with two handguns, Francis comes with shotgun & Molotov cocktail, Louis comes with pain pills, and Bill comes with an M-16 & pipe bomb. The zombie horde includes Witch, Boomer, Smoker, Hunter and an infected Gnome Zombski, and they are ready to climb onto your shelf and eat all your other toys. These cute, collectible mini characters add a dose of cool to anything they can fit their little hands around. With a sturdy grip and measuring only 2 inches high, there’s room for a bunch on any cord, cable, lanyard, strap and more. The Wave 5 Assortment includes Deadpool and Daredevil from Marvel, Arrow from the Arrow TV Series, and Catwoman from Batman Returns. 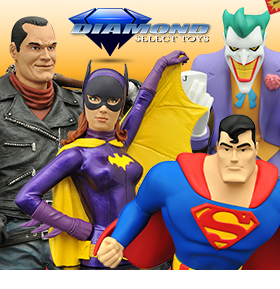 Get the Set of 4 for $15.99 or get Daredevil and Arrow for $4.99 each and Catwoman for $6.99. DID continues their 1/6 scale animal series with the British Bulldog. This resin figure features realistic sculpting and vivid hand-painting and comes with a real leather collar and metallic leash. 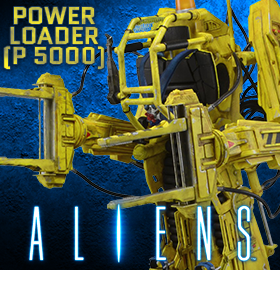 He’s the perfect companion for any 1/6 scale figure that needs a little buddy! Taking down the Templars never looked so cute! The Assassin’s Creed Dorbz include Altair form the Levantine Brotherhood, Ezio from the Italian Renaissance, Edward from the Golden Age of Piracy, Arno and Elise from the French Revolution, and Jacob from Industrial Revolution-era London. These pint-sized rascals will weasel their way into your heart as surely as they’ll find their way onto your shelf! Each high quality vinyl figure stands at 3-inches in height and comes in window-box packaging to fully display each character through front and back box panels! The Inspector Wong and Sergeant Black figures utilize the new ZCWO-AB04 Body and come with a complete uniform, interchangeable hands, riot gear, and M10 pistol with holster, pepper spray, radio, tear gas and more. From the Anime series “Gargantia on the Verdurous Planet” is a PLAMAX model kit of the mecha that had a number of battles against Chamber, “Machine Caliber X3752 Striker”. This model includes all the armaments seen in the final battle of the series and can be put together without glue. The unique shape of the Striker has been carefully made to be faithful to the series, and the cockpit can even be opened and closed to reveal the included pilot figure. From the classic DC Comics, Robin and The Joker stand 6 inches tall and rock from side to side when exposed to light. Collect the entire line of Body Knockers and watch your favorite characters work it all day long! Following on from the previously released Hatsune Miku and Megurine Luka comes 1/7th scale figures of Rin and Len Kagamine based on the artwork by popular illustrator Tony! Careful attention has been given to all aspects of the figures, including the unique appearance of their blond hair and the high-quality look of their shirts through a shiny pearl paint. Enjoy the energetic charm of these adorable figures when you add them to your collection! The Crown Jewels Moriarty figure captures Holmes’s calculating adversary in Pop! vinyl styling as he enjoys the fruits of his ill-gotten labors. 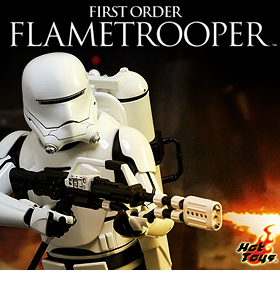 He’ll be a great addition to your Pop! vinyl Sherlock collection! The Michonne Deluxe Figure is inspired by the characters look during Season 3 and includes an authentic in-scale replica of Michonne’s katana and sheath and a black circular base for perfect dynamic posing. This highly-detailed 10-inch figure features the exact likeness, taken from a full 3D scan of the actress, Danai Gurira. This Michonne deluxe figure includes an alternate set of arms to create two iconic character poses – a swinging attack pose that can remove a Walkers head with surgical precision and an alternate stoic defense pose. LG15 Nightbird Shadow, LG16 Slipstream, and LG17 Blackwidow have just arrived and are ready to join your collection! Nightbird Shadow is a retool of Generations Arcee and features a black and white color scheme with clear yellow accents. Slipstream is a retool of Generations Windblade and features a purple and teal color scheme with black and white accents. Blackwidow is a retool of Animated Blackarachnia and features a gold and black color scheme with red and clear yellow accents. 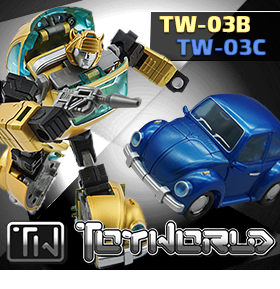 Each figure comes with an edition of the Transformers Legends: Business Trip mini-comic. Rumble and Frenzy transform from robot to battle tank and are part of the Takara Transformers Adventure lineup. You can scan their Decepticon “shields” with the compatible app game to temporarily unlock their characters for use in the game. Vinyl Idolz are artist designed interpretations of some of your favorite pop-culture characters. 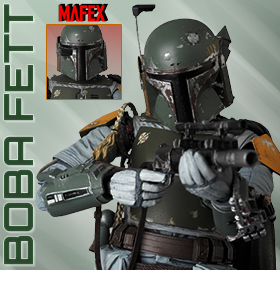 Each figure stands in the 8″ scale and comes with a removable base. Who ya gonna call? Ghostbusters! Dr. Peter Venkman, Dr. Raymond Stantz, and Egon Spengler are ready to trap pesky ghosts, spirits, haunts, and poltergeists as they wise-crack their way through the city. This 1/12 scale version of the Dark Lord of the Sith depicts him as seen in “The Empire Strikes Back,” and includes interchangeable hands, a removable helmet, a lightsaber hilt and a ready-for-battle lightsaber. His cape is also jointed for dramatic poses! A base is included as well. Come over to the Dark Side and place your order today! Fighting the Decepticons means knowing what they’re up to and the Perceptor and Autobot Blaster figures in this Autobot Intel Ops set are on the job! The Perceptor figure is a robot warrior with a blaster and shoulder-mounted missile launcher. When it’s time to analyze the data though, he converts in just 6 steps to microscope mode, with a slide case and 6 slides! When he’s in robot mode, the Autobot Blaster figure is armed with a blaster, but he converts in 11 steps to tape player mode! 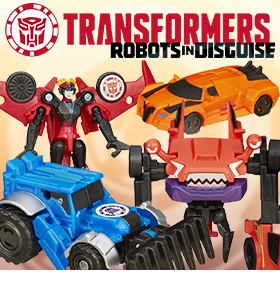 The Eject, Ramhorn and Steeljaw figures will fight at their side, and the set includes tons of weapons and missiles for major Transformers combat. Start the battle for intelligence with your Autobot Intel Ops set! This awesome set of measuring cups is fully licensed to look like R2-D2 and is completely functional in the kitchen! The body is built from 4 measuring cups: 1/4, 1/3, 1/2, and 1 cup and has detachable utility arms that turn into nested measuring spoons: 1/4, 1/2, 1 tsp, and 1/3 tbsp. His dome is both 1/2 cup and 1 tbsp. R2-D2 is made of food-grade BPA-free ABS plastic, stands 6.5 inches tall and is not microwave or dishwasher safe (hand wash only). 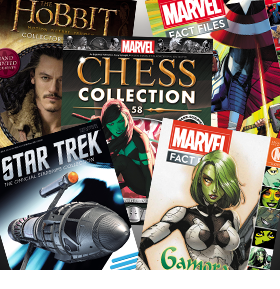 If you missed out on these cool exclusives from SDCC 2013 the first time around, now’s your chance to add them to your collection! We have Batman Arkham City Dr. Hugo Strange figure for $29.99 and the Green Lantern 3.75” 4-Pack for $44.99 along with dozens of other great items featured at the convention in 2013. This robot stands over 9 inches tall and the chest opens to hold 3 KFC cassettes at once! Doubledeck comes with a cartoon and a toy version head sculpt, 2 buster guns, Mandy cassette with guns and case, Stinger cassette with case, bio cards for all three figures and the comic book and manual. The silent assassin of the sea, Whisper is just as cunning and skilled as the sharks she keeps company with. Swim with her at your own risk. The first statue in our exciting new Honey Trap line, Whisper! This gorgeous 18” statue has been digitally sculpted and cold-cast using only the highest quality polystone, and then integrated with a variety of mixed media. From the individual zipper teeth on her translucent wetsuit to the stitching on the straps for her oxygen tank, this lovingly crafted piece features an unprecedented level of detail. This 1:18 scale classic version Batmobile includes opening doors, Batman and Robin figures and is mounted on a plinth inside a window box making it perfect for display. The Die-Cast Voltron Gift Set (1997) includes all five Robot Lions, each of which are transformable, individually articulated components with action features such as lunging heads and articulated jaws; the Voltron robot is an articulated robot featuring flip-open robot face and pull-out deflector wings, and is equipped with both the Blazing Sword and Cross Beam Shield. The Classic Alien is the latest addition to the Hybrid Metal Figuration family from Ridley Scott’s 1979 Sci-Fi masterpiece Alien. This new Hybrid Metal of the Alien (Xenomorph) is complete with Facehugger, PVC Saliva and Shoot out Inner Tongue Mechanism. The battle for Eternia rages on and Flying Fists He-Man uses his removable fist accessory to battle Terror Claws Skeletor. Who will win this this epic battle? Only you can decide when you get this two-pack for $79.99! Perfuma takes flower power to a new level and this scented figure arrives with her flower gun and shield for $49.99. Ceratus, the leader of the lizard race leaps at the chance to help Sub-Ternia overcome its enemies… in a leather kilt with his bone pickaxe for $49.99. Y-01 Provider is a triple changer that can transform from a robot into either an airplane or a tanker truck. He will stand about 8” tall in robot mode. This upgrade kit is for a certain battle tank and includes 2 hands, shoulder cannon, 2 feet, and an arm cannon muzzle. The figure stands 9.65 inches tall after attaching the upgrades. The most powerful stories in the universe! The toy juggernaut Masters of the Universe and its subsequent action figure lines featured memorable pack-in minicomics that aided in playtime for children across the world. This oversized hardcover collection features sixty-eight US releases, including all minicomics from the eighties Masters of the Universe line, the eighties Princess of Power line, and the eighties and nineties He-Man line, plus an introduction to the minicomics in the current Masters of the Universe Classics toy line. Relive the illustrated adventures that fueled your imagination! Tim Burton’s The Nightmare Before Christmas is finally getting the Select action figure treatment! The Select line is known for its detailed sculpts, larger scale and its diorama bases, and NBX promises to put all of those features to the test! Jack Skellington, Sally and Oogie Boogie will make up the first series of figures, each sculpted to a 7-inch scale with character-appropriate articulation. Jack Skellington will come with a cemetery environment, Sally with a Halloweentown environment and alternate kneeling legs, and Oogie will come with a stone floor base and a removable face! Each figure will come packaged in the Select-style display packaging, with spine artwork. Each figure is $22.99 or you can get the set of 3 for $65.99! The smallest Marvel movie of all time is almost here! This four-pack of Minimates based on Marvel’s Ant-Man movie includes four different 2-inch mini-figures – Scott Lang as Ant-Man, Hope Van Dyne, Hank Pym and Yellowjacket! Each Minimates mini-figure features 14 points of articulation, as well as interchangeable parts and accessories. The avatar of the Green comes down to Earth with this new action figure, as he appears in the pages of Justice League Dark! Set inside the heavily fortified walls of a sprawling district in the heart of Gotham City, it’s filled with the most murderous villains from DC Comics’ Batman universe. 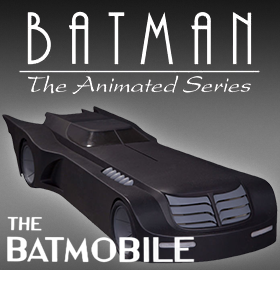 But Batman is ready to tackle it with all-new gadgets and his greatest-and most dangerous-allies. This Deadshot figure is based on his look in the blockbuster Arkham City video game.